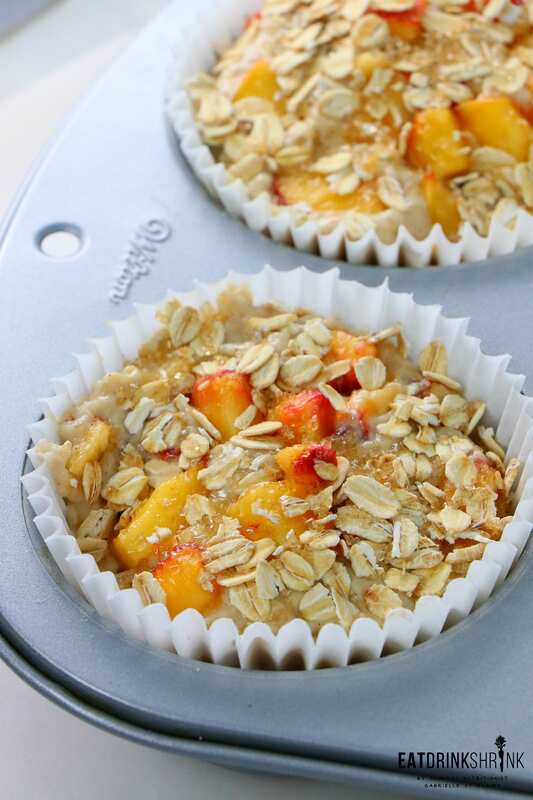 Vegan Peach Oatmeal Muffins - Eat. Drink. Shrink. 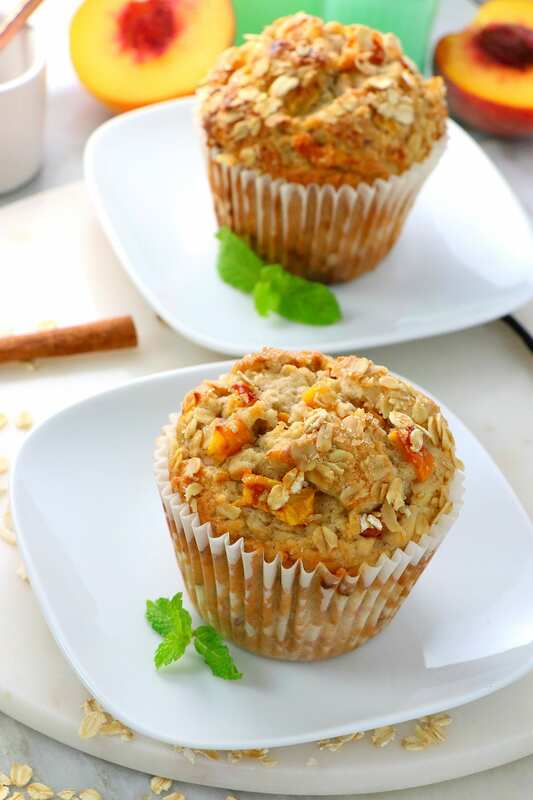 With so many recipes on the back burner and the fall weather coming taking over, I knew I had to share this classic Peach Oatmeal Muffin recipe! Last month I went thru a muffin phase as it finally occurred to me that I lacked various breakfast concepts and that muffins were amiss! 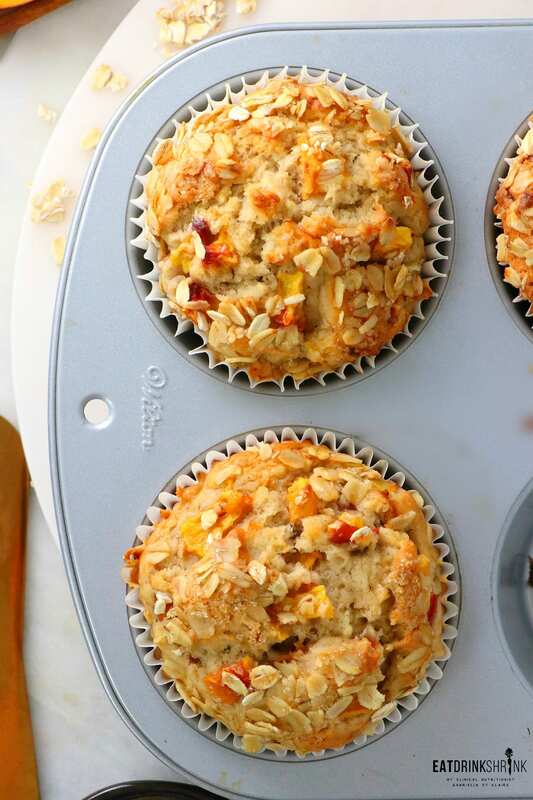 Out of countless breakfast options I have to say, I love a good warm muffin! I believe I had played around with vegan muffin recipes when I initially started cooking and the results were just not ideal. The texture was off, there was too much fruit, and or they were just too dense. That being said, I rarely craved a vegan muffin until I finally said, that’s it.. There has to be a perfect vegan muffin recipe on EDS!! If you know anything about me, I’m from Atlanta, so I love all things peaches! Like most fruits though, they taste the best when in season and the frozen options just don’t pack the same flavor and add too much moisture to the batter. To add transparency to my not so perfect eating days, as a child I love those peach oatmeal packets that were big in the early 90’s. As a result I still crave all things peach oatmeal today! 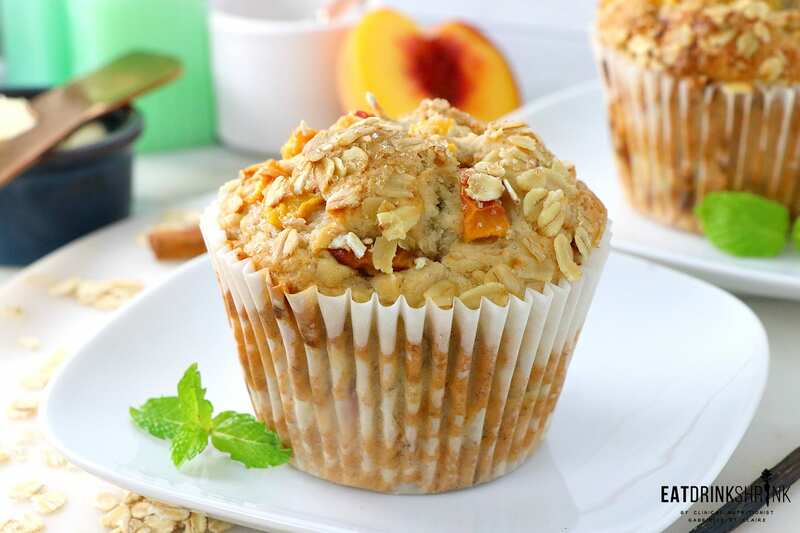 What’s fab about this Peach Oatmeal Muffin recipe, is everything! 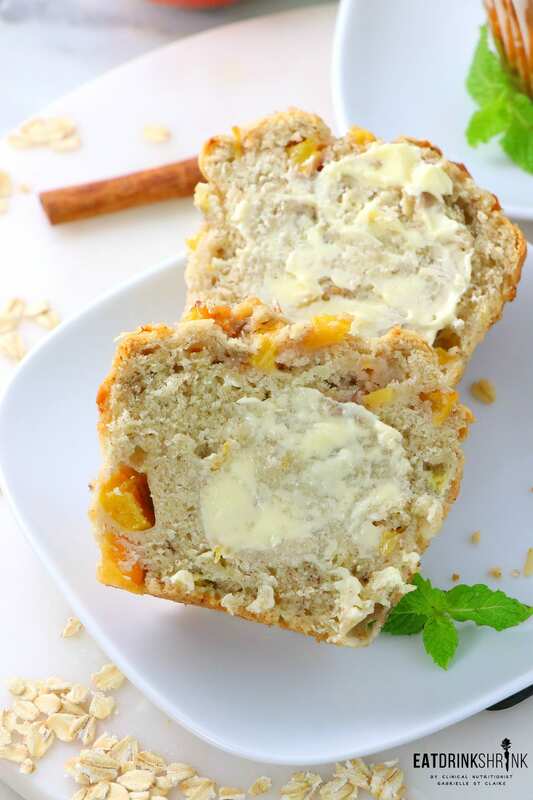 It’s my staple classic muffin recipe, it’s quick, easy, affordable, packs moisture, but cooks all the way through, is rich with peaches, oats, has aesthetic appeal, perfect addition to brunch, and if you desire you can mix up the fruit to cater to your tastebuds and or the season by simply switching up the fruit and spices! 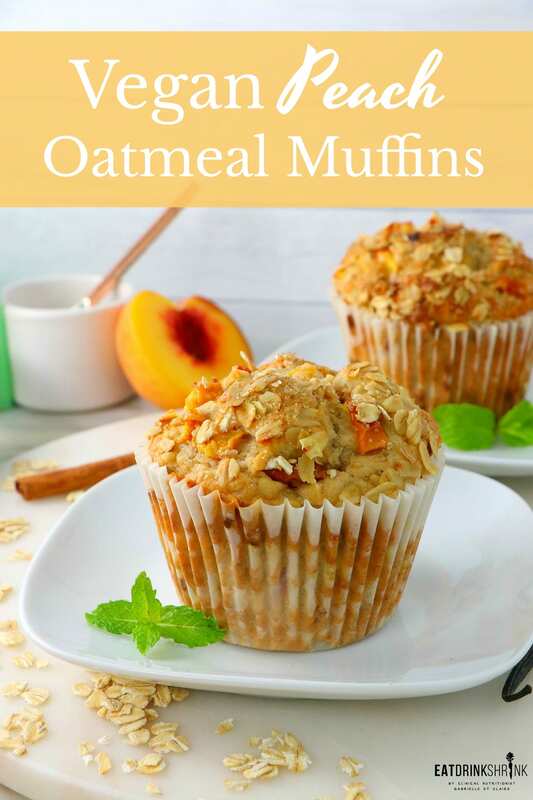 If you love a staple muffin recipe or simply love all things peaches, you have to try this recipe for Peach Oatmeal Muffins!! 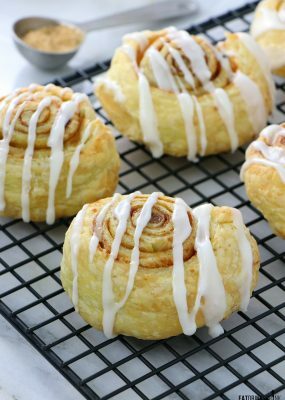 Whisk the flour, sugar, baking powder, cinnamon and salt in a large bowl. Add oil, mashed banana, room temp almond milk and vanilla extract to a bowl and whisk until smooth. If the mixture is too cold and coconut oil begins to solidify, simply pop in the microwave for a few seconds.